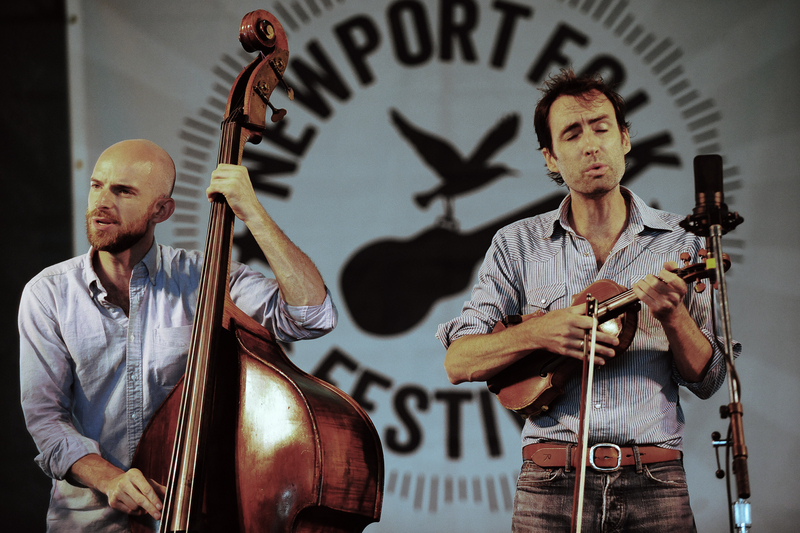 Andrew Bird & Alan Hampton at Newport 2013 – Photo by Richard Kluver/grass clippings blog. Earlier this month, Andrew Bird released I Want to See Pulaski at Night (Amazon MP3 & Spotify) – a new seven song, thirty-two-minute-long EP. A follow up to last year’s Hands of Glory, the EP carries the same gentle, cinemaesque and mostly percussion-less folk sound as its predecessor. “Pulaski at Night,” the project’s only song with lyrics and backing harmonies of bassist Alan Hampton, is flanked by three instrumentals on either side that mesh so well that it’s easy to miss the track transitions. Pulaski is Bird at his best – absolutely gorgeous through and through. I listened four times in a row and didn’t get bored for a second. Bird closes out the year with a short tour, which includes a sold out show at Rough Trade in Williamsburg on December 6.